Plugs into standard grounded wall outlet. 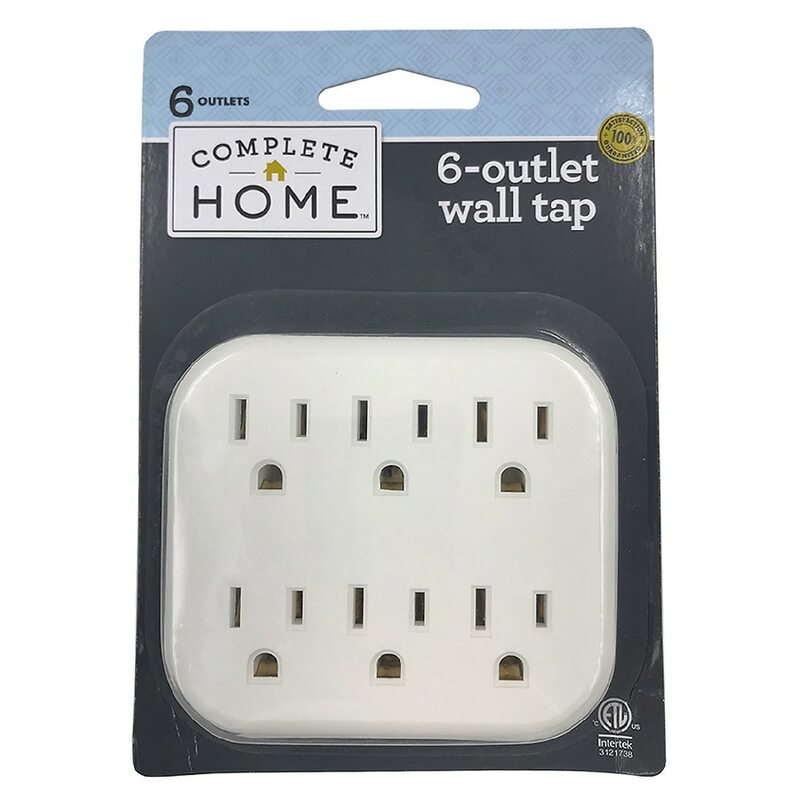 Converts two grounded outlets into six. Risk of electrical shock or fire. This product is not a toy and is not intended for use by children. For adult use only. Do not use if unit is damaged or wet; do not attempt to repair. For use with a three-slot grounded outlet only. Fully insert plug. Do not exceed combined load of 1875 watts or 15 amps. Do not immerse in water. Cover unused outlets. RISK OF FIRE: Plug only in exposed wall outlets where adapter is ventilated and cannot contact bed coverings or other material that might present a fire hazard. This product contains chemical known to the State of California to cause cancer and birth defect or other reproductive harm..